This is the 12th year for Record Store Day. It was founded in 2007 "at a gathering of independent record store owners and employees as a way to celebrate and spread the word about the unique culture surrounding nearly 1400 independently owned record stores in the US and thousands of similar stores internationally... 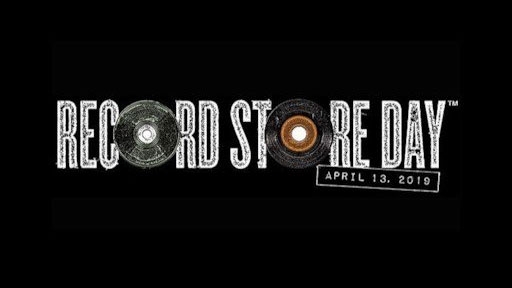 This is the one day that all of the independently owned record stores come together with artists to celebrate the art of music." There are hundreds of exclusive releases being offered just for this day by both major and indie artists alike. Many stores in our area will be holding free, live in-store performances. Check their individual websites. "As a band, our love of records and actual CDs has never waned. There's something spiritual about holding an album in your hands, and reading through the lyrics while you are losing yourself in the music. I will pass my collection of records down to my kids and grand kids someday so that they can experience the magic that just CAN'T be downloaded. Record Store Day is our turn to show our appreciation for the people that allow us to live our dreams through music. There is nothing more powerful than possessing a piece of art that your favorite band has worked so hard to push into the world. Lets keep these stores alive... see you on Record Store Day!" "The Independent Record Store is the reason why i STILL do music...It seems like they're the only ones that Really care about the real music lovers...we need them...they're our balance to all of the music we are FORCED to listen to...they're the only ones that may still suggest something NEW and FRESH instead of just what's popular." "Independent record stores are where kids like me learned about the music that made them the musicians they are today. Independent record stores are about the love of records not the love of money!"